Length: 4 hrs. 48 min. Hayley Morgan, coauthor of bestselling book Wild and Free, has wrestled with this tension her whole life. 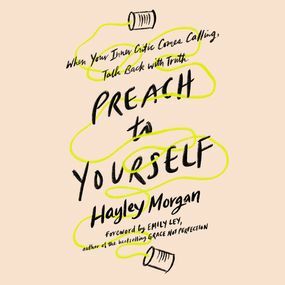 In Preach to Yourself, she tackles it head-on to discover how we can renew our minds to renew our lives. For every woman who struggles with repetitive, negative self-talk, this audiobook will show you how to identify the toxic loops where you get stuck and replace them with the truth of God we can believe with our whole selves.